How can I say no to London and Gerard Butler? You can't right. I saw Olympus has fallen last year and I really enjoyed it. It's pure fun with lost of action. Gerard Butler is like a Rambo in a world where anybody can shoot and he is still standing in the end. 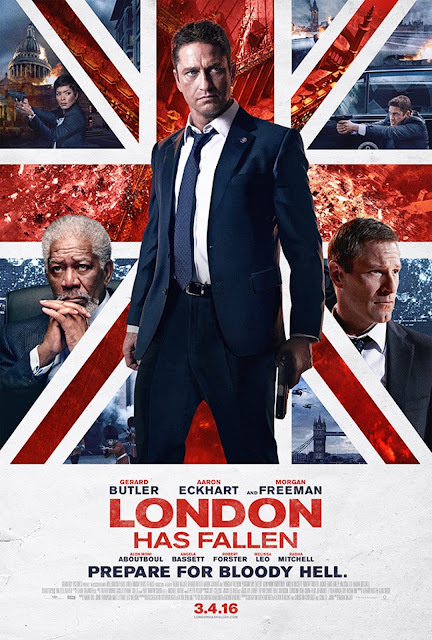 - I am not sure how people in London felt about this movie. - the story line was not great and the magnitude of the attacks that they launched were too big for just one person or even one organization. I recommend this movie if you love watching action movie and Gerard Butler. Don't think too much and just enjoy the ride.